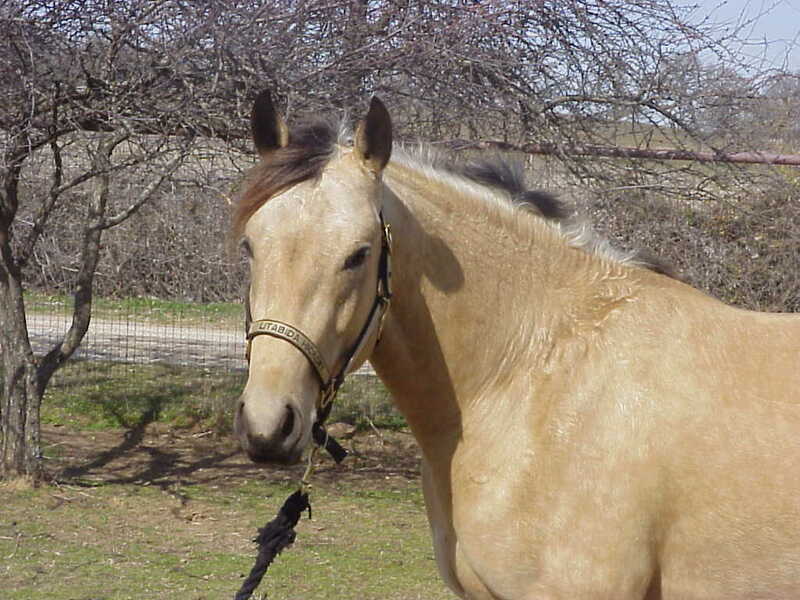 To see the AQHA Regisation for Litabida Hickory Click here. 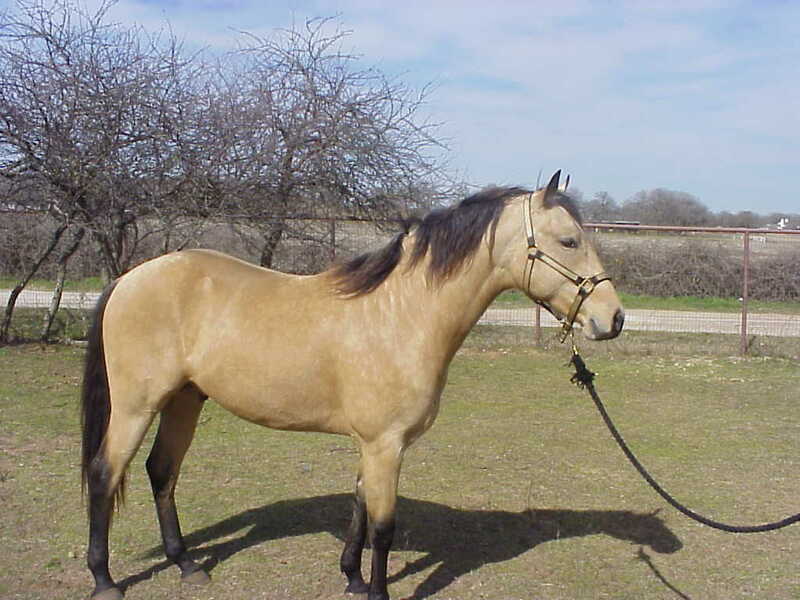 Litabida Hickory is triple registered with the American Quarter Horse Association, International Buckskin Horse Association, and the National Foundation Quarter Horse Association. Or you can give us a call at 817-491-9439. 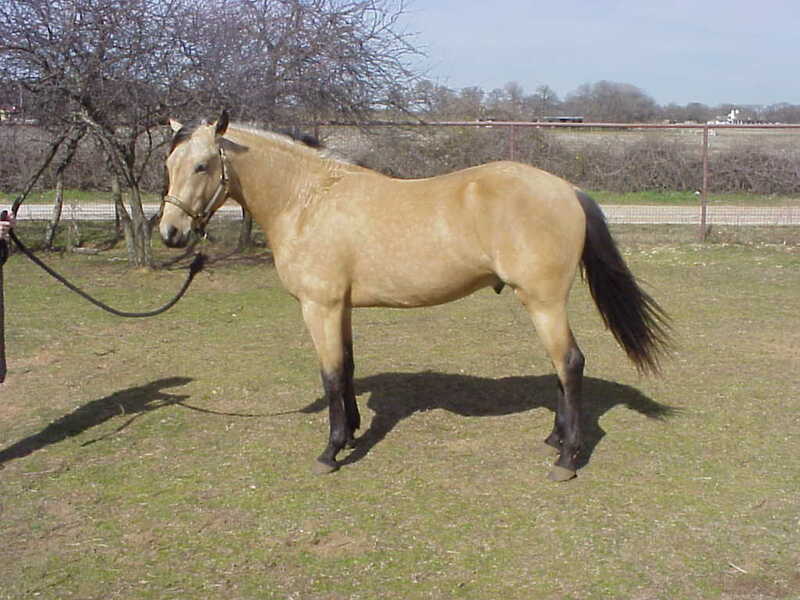 Count Hickory, is an NCHA money earner out of Doc's Hickory, a multiple NCHA champion and one of Equistat's All-Time Leading Cutting Sires. Count Hickory's dam, Money From Home, has produced foals whose earnings exceed $279,676. His dam, Miss Litabida Pep, is an own daughter of Mr. San Peppy, one of the outstanding cutting sires of all time. 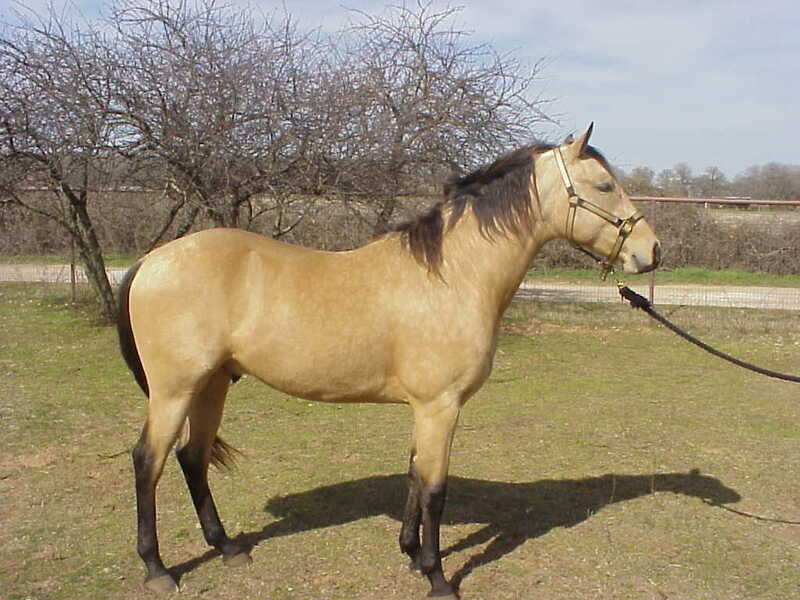 Breedings to a limited number of outside mares are available for the year 2002. The fee for Litabida Hickory is $500. No chute fee for pasture breeding. 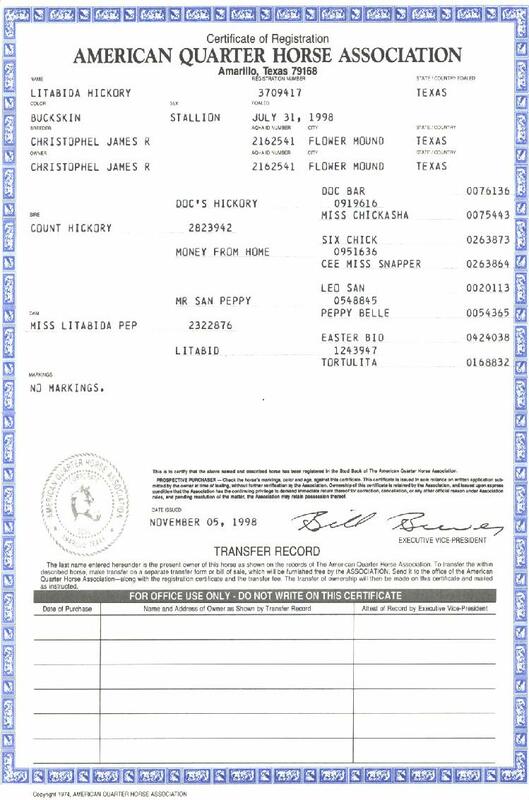 Other breeding available at vet costs. 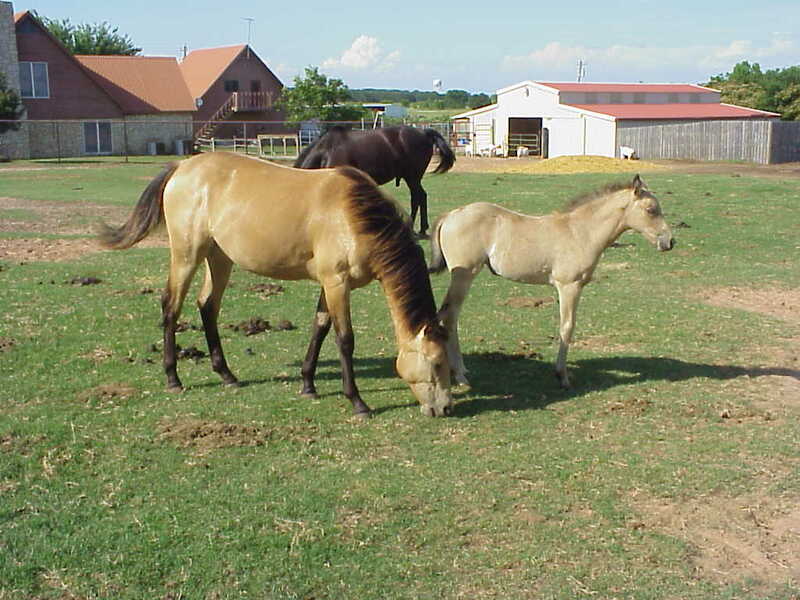 2001 buckskin filly and 2002 buckskin filly from Litabida Hickory x Uno Poco Star.